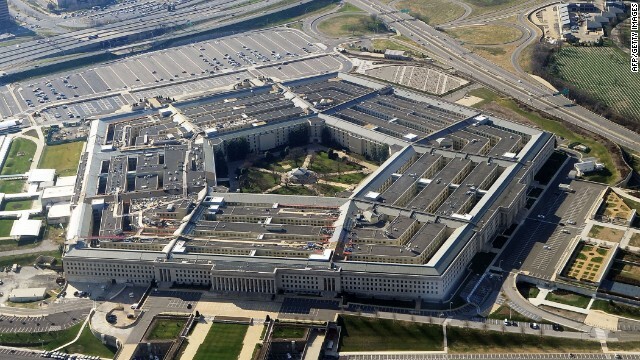 (CNN) - A Catholic priest has gone to court, saying the partial government shutdown is preventing him from providing religious services– even voluntarily– on a U.S. military base. Leonard and co-plaintiff Fred Naylor, a veteran who attends Catholic services, said their First Amendment right of religious expression and outreach was being violated. The base is located in St. Marys near the South Georgia coast. Active duty chaplains are still being allowed to administer to the Catholic base community, according to Kings Bay officials. The men are represented by the Michigan-based Thomas More Law Center, which calls the case an "astonishing attack on religious freedom by the federal government, and the latest affront toward the military since the beginning of the shutdown." There was no reaction from base officials to the pending litigation. The lawsuit says about 300 Catholic families in Leonard's faith community have been unable to attend Mass on base since the shutdown began. Leonard has been locked out of his office and denied access to articles of his faith, including the Holy Eucharist. A sign on the door of the base chapel says "Catholic Mass will be suspended until further notice," and that "active duty chaplains will be continue to facilitate, provide, care and advise the Subase community." Parishioners are advised to attend an off-base Catholic church about eight miles away. In an affidavit, Leonard said he had previously served the Tibetan community in China for a decade. "In China, I was disallowed from performing public religious services due to the lack of religious freedom in China. I never imagined that when I returned home to the United States, that I would be forbidden from practicing my religious beliefs as I am called to do, and would be forbidden from helping and serving my faith community." There are about 10,000 people who live, work, and use the navy base. Leonard also claims "members of religions, other than the Roman Catholic religion, have been afforded access to the chapel to engage in religious exercise in conformity with their respective faiths." The notice from chapel staff says, "Protestant services will continue to be held in the Subase chapel Sundays @ 1030. We apologize for the inconvenience." The government will be given a chance to respond to the lawsuit in coming weeks. It was unclear whether any end to the shutdown and resumption of the Catholic services would stop the lawsuit from proceeding. The case is Leonard v. U.S. Department of Defense (1:13-cv-1571). If the good Father can't preach on base, why should the Congress be allowed to have their chaplain? I hope he named Ted Cruz and John Boehner specifically in the suit! Is he suing under FTCA? If not, this will go nowhere. Looks like some in organized religion don't completely agree with the right wing, that believes it has access to Gods ear. Since he is not a military chaplain, is it possible that his clearance, like that of many civilian workers, is not valid during gthe shutdown? Its seems pretty interesting that he was able to get a case filed in federal court in a little over 2 weeks: sounds like someone egged him on. If the Catholic Church wishes to sue the USA and have access to constitutional rights,then they can start paying taxes. This is an infringement on religious freedom – which is a violation of our Constitution. No president in history has allowed this to happen during a government shutdown. if it was the republicans/mitt romney's fault, why is it called Obamacare and not Romneycare? "negotiate" with whiners and hard headed maniacs. If there is that problem with this one member from one religion being blocked while others are afforded access, then there is a problem. If there is an issue because this was a new employee, that might be the problem. """The lawsuit says about 300 Catholic families in Leonard's faith community have been unable to attend Mass on base since the shutdown began"""
TEA PARTY IS FOR MURKA!!!! Possibly because the GOP plan was implemented by a Demcratic president, hence the implied insult. The GOP lacked the spine and the focus to put their own plan into action on a national scale, despite ample time to do so. This is not a violation of religious freedom. The priest is an employee of the government. It is against the law for furloughed employees to work at their federal job location, with or without pay. Comparing this situation to China is ridiculous. The priest can practice has faith outside the naval base. This is a bunch of hogwash!! My church is more than 8 miles away... He can go and attend/perform Mass at that church. Talk about whining!! I would like to know who put up the money. Going to federal court is not cheap.